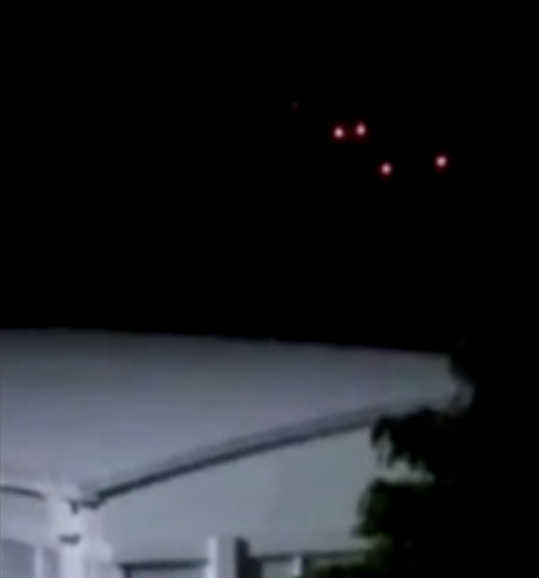 Video footage captured from a balcony in Bogota, Colombia, shows four red-coloured UFOs in the sky. The strange anomalies appear to stay in a formation as they move slowly upwards. But then, the sound of a helicopter can be heard above as a chopper heads towards the lights. A second aircraft also makes its way over to assist. The video was uploaded to YouTube by Armando Blanco, who filmed the strange event. Tyler Glockner – from conspiracy page secureteam10 – shared the clip on his channel and speculated the military had intercepted an alien invasion. "A strange formation in the sky seem to react as the chopper heads over to check them out," he said. "The military obviously know about them and are keeping a watch on them." The footage has now racked up more than 230,000 hits, and viewers were stunned. Человек потерял дар речи, увидев НЛО в ночном небе. Несколько мгновений спустя появилось несколько вертолетов и, кажется, окружало эти таинственные механизмы. Видео, снятое с балкона в Богота (Колумбия). Видео было загружено на YouTube Армандо Бланко, человеком, снявшим это странное событие.